Six of the most liberal members of the U.S. Senate are petitioning government regulators to reject Comcast's proposed merger with Time Warner Cable. The letter marks the first time that Senator Elizabeth Warren, Democrat of Massachusetts, has spoken out against the merger. Warren is joining Senator Al Franken, Democrat of Minnesota, who has been the leading -- and pretty lonely -- voice in Congress against Comcast's plan to expand to new markets like New York and Los Angeles through the takeover of Time Warner Cable. The other signers of the letter are Warren's Massachusetts colleague Ed Markey, Bernie Sanders of Vermont, Ron Wyden of Oregon, and Richard Blumenthal of Connecticut. The letter is directed to the Federal Communications Commission and the Department of Justice. It comes one day before a pivotal meeting between the cable companies and Justice Department officials. "We hope you'll take a stand for U.S. consumers and businesses and reject Comcast's proposed acquisition," the Senators wrote. The two government agencies have been reviewing the proposed Comcast-Time Warner Cable combination for the past 15 months. Some staffers at the agencies are inclined to block the deal, according to published reports. Franken's press release on Tuesday referred to reports that the "tide is turning against [the] deal." But no final decisions have been reached. Representatives for the FCC and the Justice Department have declined to comment. 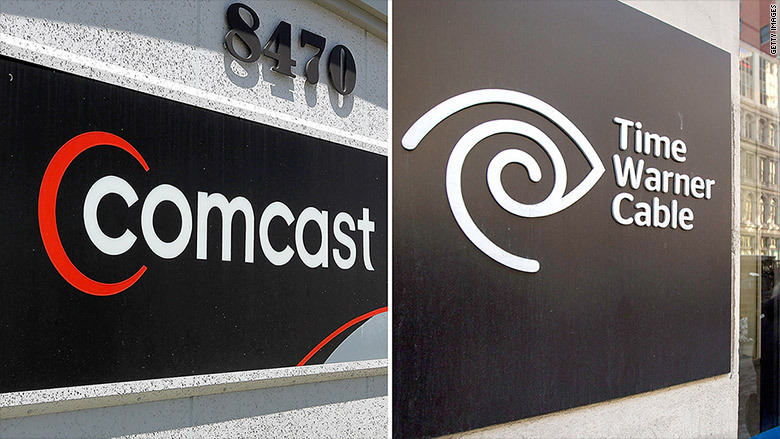 For their part, Comcast and Time Warner Cable say the merger would be pro-consumer and not anti-competitive.